Time for a pizza party! 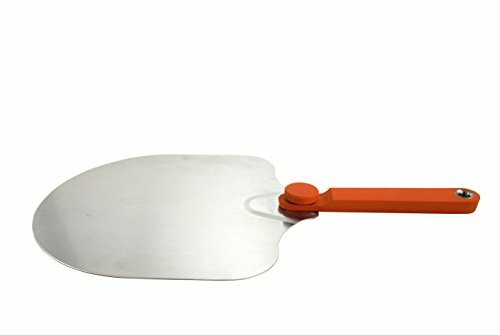 This great pizza peel will help you make enough pizza for everybody, whether it's your kids or your restaurant, without burning your hands or arms getting the pizza into the oven. 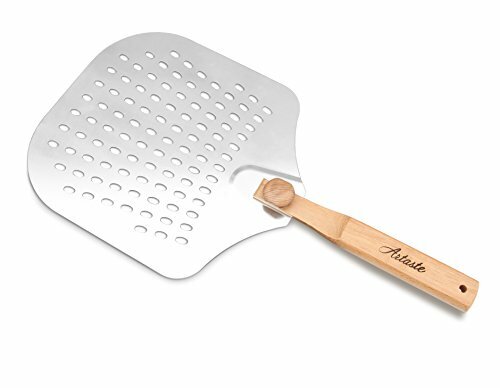 This peel features perforations in the blade for an even, crispy crust and a convenient folding handle for easy storage. 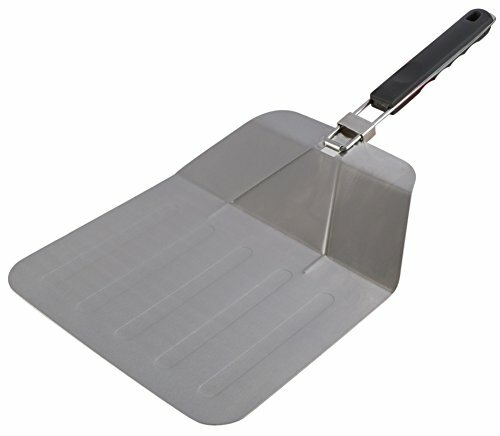 This folding aluminum pizza peel is essential for transferring pies to and from your oven, grill or pizza oven. It's especially compatible with Pizzacraft PC0601 Pizzeria Pronto Stovetop Pizza Oven. This peel smoothly slides under your pies and features comfort grips for easy handling. Conveniently folds for portability and storage. HOW TO USE: Unscrew the knob at base and unfold the handle. Secure the handle into place before using the peel by tightening the knob at the base of the handle. Unscrew knob to fold handle back in when ready to store peel. Secure the knob into place to make sure that the handle stays down while it is in transit or being stored. CARE: Hand wash by hand only, using soap and water. Dry immediately. Not dishwasher safe. CAUTION: May become hot during use. Use heat safe gloves when handling. Use caution when unscrewing knob and do not unscrew it too far. Make certain knob is fully tightened before using to transfer pizza. Time for a pizza party! 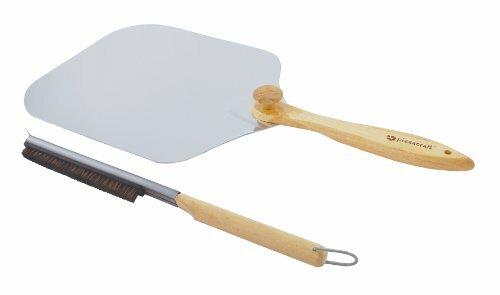 These great pizza peels will help you make enough pizza for everybody, whether it's your kids or your restaurant, without burning your hands or arms getting the pizza into the oven. Whether you prefer aluminum or wood, we have a great peel that will be perfect for you. Available in several sizes and lengths. 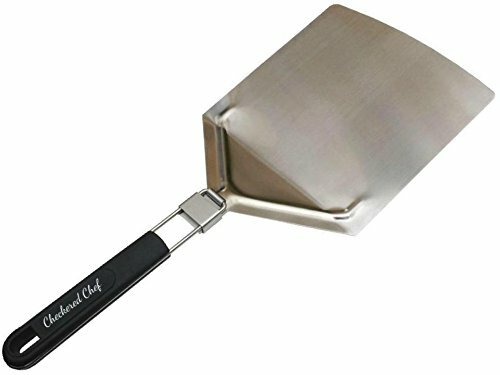 Easily transfer pizzas from your oven or grill with this stainless steel pizza peel with folding wooden handle. The stainless steel surface slides easily under pizza, bread or other baked goods. When your baking is done, the handle folds inward to save space, which makes it easy to store.HOW TO USE: Turn the wood knob to the left to loosen the screw and then turn handle 180°. Turn knob to the right to firmly tighten the handle in the open position. Dust peel liberally with cornmeal before placing pizza on peel. Sometimes raw dough can stick to the peel; Cornmeal will make it easier for the raw pizza to slide off your peel and into the oven/grill. When transferring your food, always use two hands to support the weight of the dough on the peel.CAUTION: Make certain knob is fully tightened before using to carry food.CARE: Hand wash with a mild dishwashing soap, rinse and dry immediately. Do not use abrasive scrubbers. Do not soak. Not dishwasher safe. 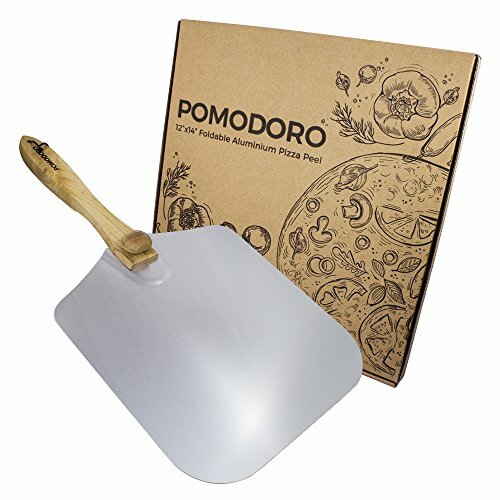 The Modern Kitchenwares Folding Pizza Peel is a perfect solution for the pizza enthusiast that doesn't want the hassle of storing and handling a non-folding pizza peel. 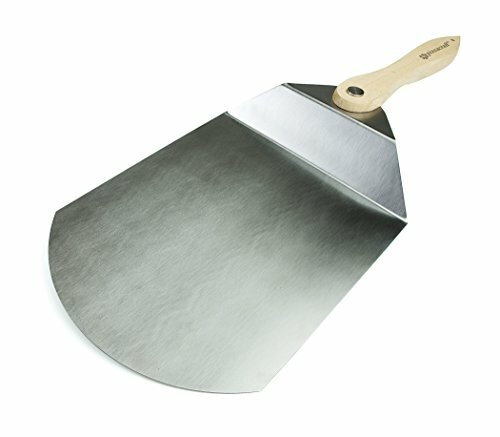 Made out of quality stainless steel, this pizza peel is durable and sturdy. Hand wash only. 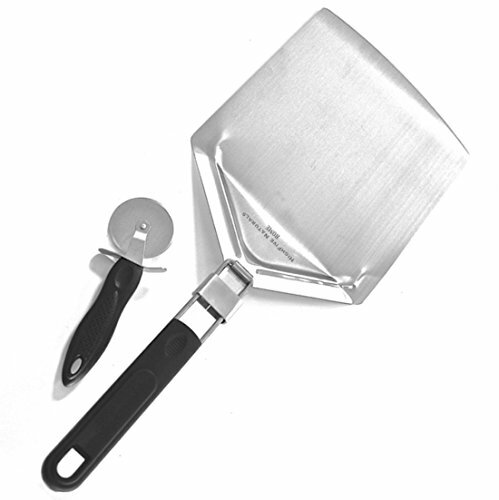 Kitchen Winners Stainless Steel Pizza Peel With Folding Handle. 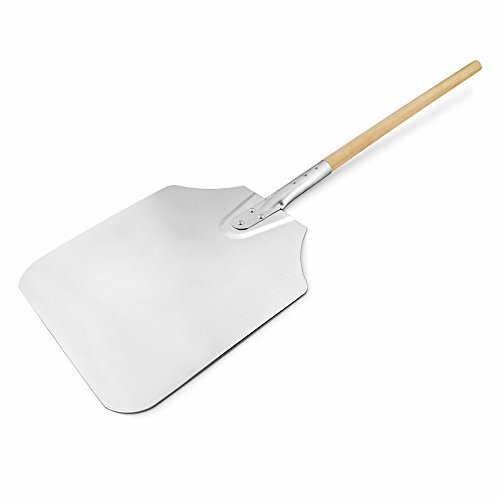 Perfect for lifting pizzas, or cake sheets out of the oven, the metal pizza paddle is a must have for any baker and pizza chef. 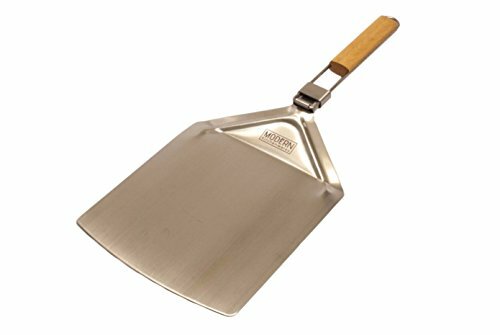 Watch the Pizzacraft Stainless Pizza Peel With Folding Hardwood Handle in action! Compare prices on Folding Peel at ShoppinGent.com – use promo codes and coupons for best offers and deals. Start smart buying with ShoppinGent.com right now and choose your golden price on every purchase.